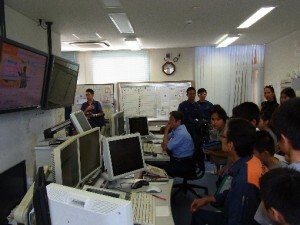 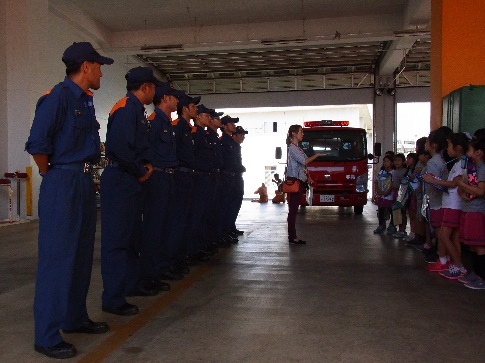 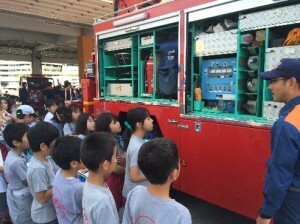 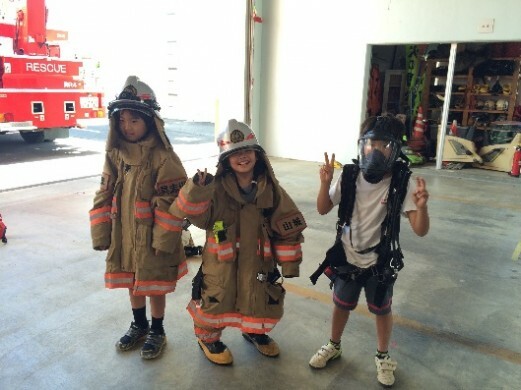 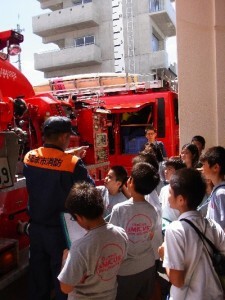 On the 15th of May, the 4th grades headed out to the Gushikawa Fire Station for their Social Studies fieldtrip. 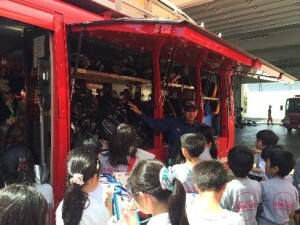 While they were there, they were able to see and learn about the various emergency vehicles used by the firemen and the process that goes on behind the scene when an emergency call is received at the fire station. 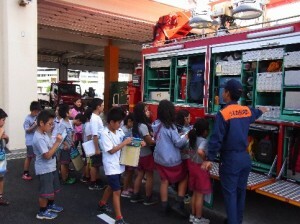 It was a wonderful experience for both the students and the teachers to be able to see the inside of a fire station. 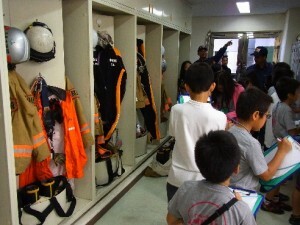 Many of the students also enjoyed talking to the firemen to learn about their work and life at the station.